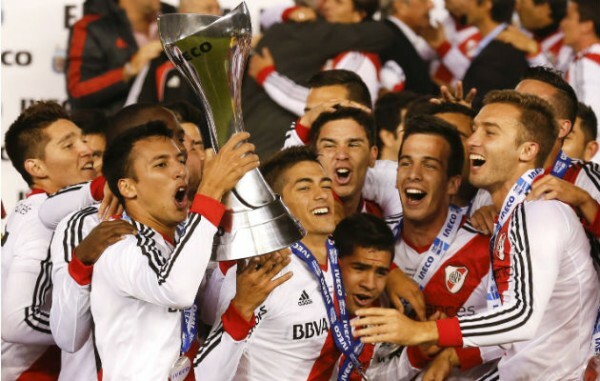 As River Plate won their first championship in six years, taking the Torneo Final of the Argentina top flight, they became another football giant to taste success and triumph shortly after recovering from relegation. Juventus are the example for clubs suffering from such embarrassment, completing the best season ever in the Serie A under the current format, winning their third consecutive championship after it looked like relegation made it too difficult for them to compete with the best of ’em, in Italy at least. That might be where the similarities end. Maybe also the number of titles: Both clubs have won the championship in their respective nation more than anyone else. But financially, and the circumstances of the relegation, were very different. Juventus won the championship shortly before being relegated. It was the club’s fourth title in five seasons. But the Calciopoli saw them hit harder than anyone else involved (which is something of a scandal on its own), resulting in forfeiting two league titles and getting sent down to Serie B. It took them a year to get back, and four more seasons with less than impressive occurrences in both the domestic and European competitions to get back on the horse. River Plate also needed just one season in the lower division to get back. It took them a while longer to find their place on top of Argentina, beating Quilmes 5-0 on the final day of the season to make sure the title goes to where it is most used to, although it’s been some time. Without big names or big stars, as they have only one player in the national team (Gabriel Mercado) and three more in the U-21 team, with only one of them (Manuel Lanzini) considered a big talent that will end up in Europe very soon. Juventus? They are the richest club in Italy, and by far the best team. That sentiment changed every few months in Argentina due to their two-championship system, the problematic economy, the problems in local football and the constant flow of players to European leagues. The Italian national team is based on Juventus’ defense and one midfield magician, although it hasn’t been enough for more than a quarterfinals appearance in the Champions League. Another team worth mentioning at the end of this season has to be Benfica. A team that lost tragically in the league, Portuguese Cup and Europa League final to end the 2012-2013 season. Jorge Jesus looked like he’ll be going to jail for his antics at the beginning of this season. But things change quickly, and such a quality side had to come out victorious at one point. They did lose on penalties in the Europa League final – the Bela Guttman curse doesn’t disappear just like that. However, a domestic treble is a good way to get over such things.